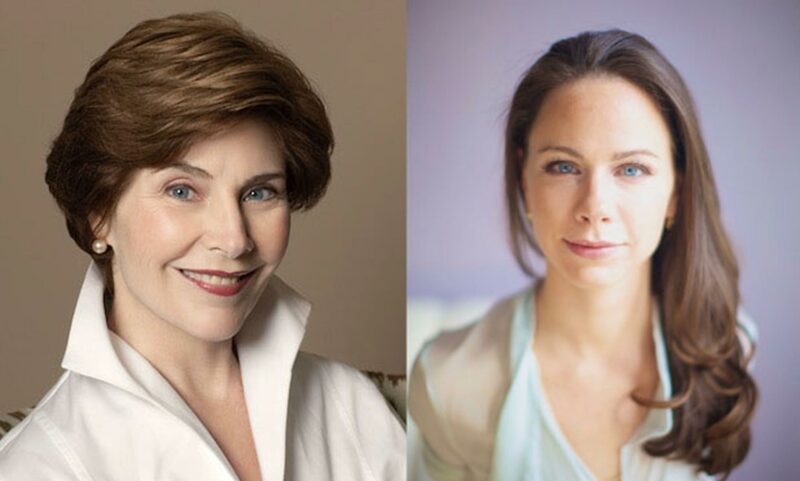 Former First Lady Laura Bush and daughter, Barbara Pierce Bush, will be the featured speakers at the March 22, 2019, induction event for the Starr Women’s Hall of Fame. Laura Bush served as First Lady from 2001 to 2009 during the presidency of her husband, George W. Bush. She is an advocate for education, health care and women’s rights. After leaving the White House, President and Mrs. Bush founded the George W. Bush Presidential Center in Dallas, Texas. The former First Lady will be interviewed during the event by her daughter, Barbara Pierce Bush, co-founder and board chair of Global Health Corps, which mobilizes a global community of young leaders to build the movement for health equity. The event is scheduled for 11:30 a.m. March 22, 2019, in Swinney Recreation Center on the University of Missouri-Kansas City campus. The event will honor the 2019 class of honorees into the Hall of Fame, and tickets are available online. The 10 outstanding women to be honored this year will be announced at a later date. As chair of the Bush Institute’s Women’s Initiative, Mrs. Bush promotes access to education, healthcare, and economic opportunity for women and girls around the world. The Women’s Initiative programs are preparing and empowering the next generation of women leaders in North Africa and the Middle East, working to ensure the expansion and protection of women’s rights in Afghanistan, and engaging and supporting first ladies from around the world to effectively use their unique platforms to advance issues for women and girls in their countries. Global Health Corps was founded in 2009 by six twenty-somethings who were challenged by Peter Piot at the aids2031 Young Leaders Summit to engage their generation in solving the world’s biggest health challenges. Barbara Bush and her co-founders were united by the belief that health is a human right and that their generation must build the world where this is realized. The Starr Women’s Hall of Fame is dedicated to recognizing extraordinary Kansas City women and preserving the history of their accomplishments. These women are social reformers, volunteers, philanthropists, civic leaders, activists and educators. They are neighborhood leaders and grassroots organizers, from yesterday and today, both famous and unsung. They are movers and shakers whose tireless commitment to community has made Kansas City a better place to live. The Hall of Fame is a repository for their legacies. By sharing their stories, the Hall of Fame encourages and inspires women everywhere. Biographies of all of the honorees are available at https://www.umkc.edu/starrhalloffame/hall.cfm.